When she is not hanging out with her family in their eclectic adobe home in Huskisson on the shores of Jervis Bay, Australia, or throwing paint around in her little purple studio in their backyard, you may find her wrangling with two large suitcases attempting to board the BART in San Francisco en route to teach at an art retreat or sitting in a circle on St Pete Beach Florida listening intently as students share their stories of creative exploration. Tracy is a best selling author, inspiration instigator, prolific painter, singer/songwriter and lover of the written word, smitten traveller and soaker up of all that is beauty-full. 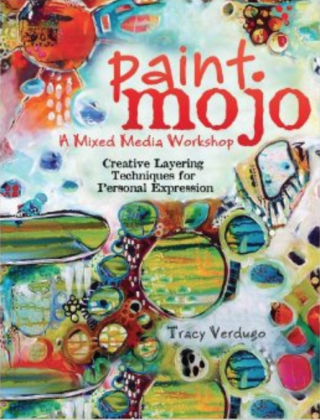 She teaches her Paint Mojo and other creative workshops all over this amazing planet and reminds her students of the wonder that already resides within them. 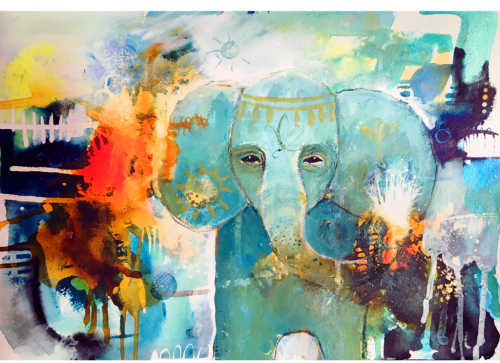 Her works are vibrant and filled with joy, inspired both by wanderlust, diversity and the beauty of everyday life. Since 2000 Tracy has held 20 successful solo exhibitions and her works are held in collections both in Australia and internationally.